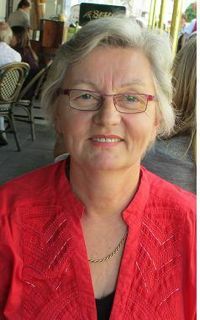 Jolanta is a medical practitioner with over 30 yrs experience. For the past 20 yrs she has practiced as an integrative holistic medical practitioner after having undergone training in Nutritional Medicine and Bio-identical Hormone prescribing. In the past she has also lectured for ACNEM ( Australian College of Nutritional and Environmental Medicine) on hormonal problems and menopause. Jolanta had a busy practice in Melbourne before moving to the Gold Coast in 2012. A holistic approach to health and treatment of disease means treating the whole person and is not just a disease or a symptom treatment. It addresses functional, physical, mental and emotional issues and incorporates both pharmaceutical and non-pharmaceutical treatment options. Complementary treatments include dietary and lifestyle advice and may include nutritional supplements such as vitamins, minerals & herbs. Jolanta treats all types of female & male health issues and has many years experience and a particular interest in addressing hormonal problems (e.g. pre-menstrual, pre-menopausal, menopausal issues, polycystic ovaries). She prescribes Bio-identical hormones where hormone replacement is required. This is an alternative to the conventional HRT. Bio-identical hormones are hormones that are derived from the wild yam or soybean oil precursors and these have an identical chemical composition to our own human hormones. Thus, bio-identical is synonymous with human-identical, and avoid many of the undesirable side effects of the synthetic hormones. These hormones are available from a compounding pharmacy on prescription from a doctor experienced in prescribing this treatment.